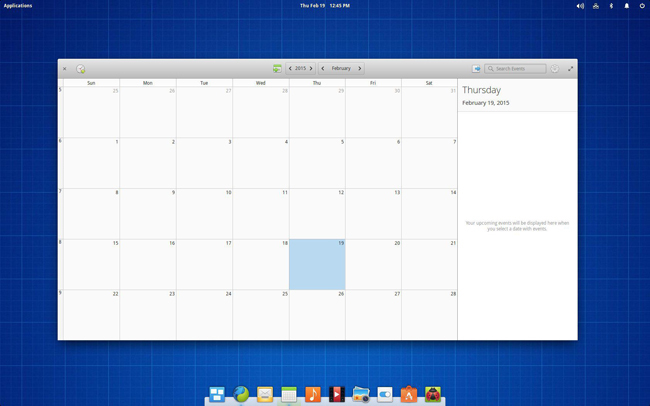 Review Elementary Linux has released the second beta of the imminent Freya release of its OS. Elementary follows a somewhat unusual release schedule of major updates every 18 or so months, with two betas at the six- and 12-month marks. That's not the only way Elementary differs in relation to other distros. Almost everything on the surface of this Ubuntu derivative is homegrown – the desktop, many of the default apps and even the icons and theme are very distinctly Elementary OS. Under the hood, of course, it's still very much Ubuntu/Debian. The arrival of the second beta earlier this month saw project forge its own path in another way, too. The team unveiled a new website and changed the way the payments mechanism works. Gone is the "download for free" link for a set of buttons that let you pick your price: $10, $25, $50 or "custom." You'll still be able to download Freya for free, you'll just have to jump through a couple of extra hoops. The new website, which is currently in testing at the beta.elementary.io domain, will be out of beta when Freya is released later this year and, barring any last minute changes, will feature the fake paywall. It's a little off-putting to say the least, but what makes it worse is that Elementary followed it up with a very passive aggressive blog post that seems to be trying to shame users into paying for the distro. Confusingly, the post cites Gimp and Inkscape as inspirations when they haven’t come remotely close to what Elementary OS has opted for. Certainly there's nothing wrong with charging for free software. It's free as in freedom, not beer (even if most of the users of free software seem to believe it's free as in beer too). However, there are ways of asking for money that don't involve deceptive UIs and blog posts that try to shame your users into paying. After some dubious download numbers pointing out that only 0.125 per cent of its users have paid for Elementary (the Elementary OS developers seem to think everyone who downloads is a user, which is disingenuous at best), the post goes on to say: "We feel that an entire operating system that has taken years of development and refinement is worth funding." That seems reasonable. So I put checks in the mail to the GNU project, the Linux Foundation and the Debian Project. Judging by the comments on that post and general reception in the larger Linux community I'm not the only one rubbed the wrong way by the demand-begging approach Elementary OS has taken. And don't forget, you're being asked to pay for beta quality software at this point. Even Microsoft doesn't do that. In its current state you'd get more for your money lighting it on fire than paying for the second beta release of Freya. That's not to say it won't eventually be worth paying for, but as a beta, Elementary remains buggy and unstable with far too many unfinished apps and half-baked features to warrant the cash. Perhaps if the Elementary project asked for donations to speed development it would be easier to suggest you open your wallet. What do you get for you money? The lower level elements of Freya beta 2 build on Ubuntu 14.04, though the Elementary developers pick and choose when it comes to the distro's base tool versions. For example, Elementary replaces GTK 3.10 with a more up-to-date version. In beta 1 that was GTK 3.12, now with beta 2 it's 3.14. That means Elementary's theme can take advantage of the same combined window bar/title bar that you'd find in GNOME 3.14. One of the bigger improvements in the second beta is Elementary's online accounts, which work much better now – at least in theory. I was able to connect to my Fastmail account (which never worked in beta one), but then I got an error message claiming: "There are currently no apps that install to your Fastmail account." If I open Geary, the default email client, indeed it seems wholly unaware of the fact that I had already stored my username and password in the online accounts panel. Ditto the calendar app. Both apps were happy to connect to Fastmail, but I had to enter the information two more times, making the online account settings, well, pointless. Fastmail is a little obscure perhaps so I tried signing in with my Google account, but this was even worse - doing nothing more than generating a 400 error on Google's site. Clearly Elementary's online accounts are still very much a work in progress. Hopefully that will be fixed by the time the official release comes around because having a centralised place to manage online accounts makes setting up a new system much easier. The second beta sees updates for many of Elementary's very nice homegrown applications, like the aforementioned Calendar app and the Videos app. The rest of Elementary's offers have seen some minor makeovers in this update as well, including Photos, System Settings and Slingshot. Unfortunately I still found many of these apps – particularly the Calendar app – to be very unstable. This is of course a beta and you should not expect it to be rock solid. Still, even with in the world of pre-release betas, Freya remains the least stable I've tested in a long time so bear that in mind should you decide to test it. When Elementary says it's a beta, it's definitely still got bugs. Which brings us back to the money. While I completely agree with the motivation behind Elementary's desire to get users to pay – provided you can afford it, you ought to give what you can to the projects you use – the way to project has gone about it is completely ham-fisted. It will likely put off newcomers who bail out before they figure out how to circumvent the pseudo paywall. 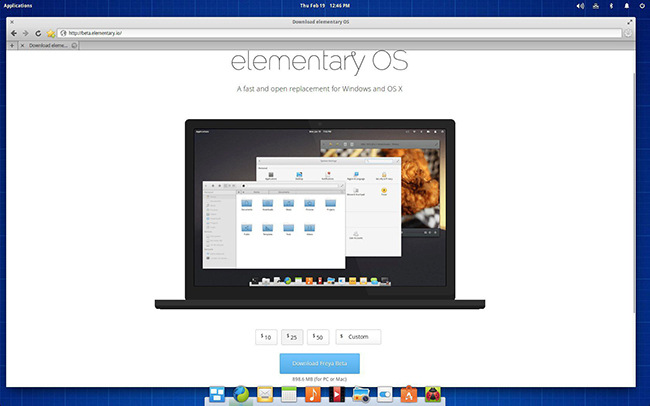 Whatever the case, you can of course still download Elementary OS for free even if the developers want you to feel like a cheapskate for doing so. The ultimate question is: do you really want to be part of this community? There's no question that Elementary OS puts a very nice skin atop Ubuntu. And it's beginning to be more than just a skin thanks to the tightly integrated apps the project has been working on.